This website is an official website of Pellicano Menswear Limited (“we” or “us”), trading as Pellicano Menswear Limited. This website and all intellectual property rights (including but not limited to rights in the website as a database) in its design, text, graphics, and the selection and arrangement thereof, together with the Pellicano trade mark and all other trademarks, logos and trade names depicted in this website belong to us. This website and its contents are provided “as is” and without representation, term, condition of warranty of any kind, either express of implied (and whether implied by law. custom or otherwise) in respect of the website and/or its contents/ Pellicano Menswear Limited disclaims all representations, terms, conditions and warranties including, but not limited to, as to satisfactory quality, merchantability, fitness for a particular purpose, title and non-infringement of intellectual property rights to the fullest extent by applicable law. In addition, Pellicano Menswear Limited excludes any representation or warranty that the information and/or facilities accessible via this website are accurate, complete or current, or that this website will be free of defects including, but not limited to, viruses or other harmful elements. The user of this website assumes all costs and risks arising as a result of its use of this website. To the fullest extent permitted by applicable law, neither Pellicano Menswear Limited nor any of its directors, employees, affiliates or other representatives will be liable for any loss or damage arising out of or in connection with the use of, or inability or use, the materials in/and/or facilities or services offered throughout this website including, but not limited to, indirect or consequential loss or damage, loss of data, income, profit or opportunity, loss of or damage to property and claims of third parties, even if Pellicano Menswear Limited has been advised of the possibility of such loss or damages and/or such loss or damage were reasonably foreseeable. In no event will Pellicano Menswear Limited’s total Liability to you for all damages, losses, and claims (whether in contract, tort (including, but not limited to. negligence), or otherwise) exceed the amount paid by you, if any, for accessing this website. The above exclusions and limitations of liability shall not apply in respect of liability in negligence for death or personal injury. This website is controlled and operated by us from our offices in London and Essex, England. We exclude all representations and warranties that materials in and/or facilities or services offered through this website are available for use in other locations, or that they comply with any legal or regulatory requirements of such other locations. Those who choose to access this website do so at their own risk and on their own initiative and are responsible for compliance with applicable local laws. These terms shall be governed by and construed in accordance with English law. Any dispute under these terms shall be subject to the exclusive jurisdiction of the English courts and, by using this website, you hereby submit to the exclusive jurisdiction of such courts for such purposes and waive any and all objections to jurisdiction or venue in such courts. If any court of competent jurisdiction finds any provision of these terms to be void or unenforceable for any reason then such provision shall be ineffective to the extent of the court’s finding without affecting the validity and enforceability of any remaining provisions. We reserve the right to amend these terms and conditions at any time without notice. If you have any comments, please send them to us at tomasso@pellicanomenswear.com. You acknowledge that we are under no obligation to pay for or respond to any such comments, or to keep them confidential. You warrant that any comments you may submit will not infringe the personal or proprietary rights of any third party, nor be defamatory, obscene, abusive or otherwise unlawful, and you will indemnify us against all actions, costs, claims, demands, losses or liabilities of whatsoever nature which we may suffer by reason of any breach of such warranty. The prices displayed on this Site are quoted in UK sterling. The prices include VAT as appropriate at 20.0%, and could be subject to change if the applicable rate of VAT changes before your order is accepted. Prices are quoted inclusive of postage and packing (standard delivery – see below) to locations within the United Kingdom. Postage & Packing charges will be made at checkout for destinations outside of the UK. Please note that it is the responsibility of non EU customers to declare any additional taxes due in their own country. Pellicano Menswear Ltd makes use of Paypal for customers to make payments for goods. PayPal allows you to make payments using a variety of methods including: PayPal Balance, bank account, credit card, PayPal Credit, and debit card. We are unable to accept payment via cheque. All of our deliveries are made by Royal Mail using a signed for service to guarantee your delivery. These options are based on working days and exclude weekends and public holidays. Orders placed after 12.30pm on any working day will count the following day as day 1. Orders placed after 12.30pm on any given Friday will count the following Monday as day 1. Please see delivery, exchanges and returns policy. 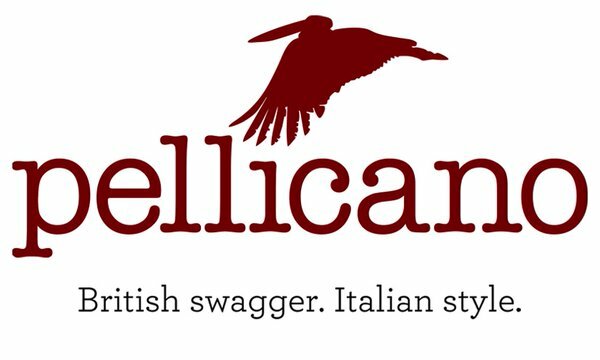 Pellicano Menswear Limited delivers to all areas of the UK, including Northern Ireland, all off-shore Islands and the Channel Islands and Europe & ROW. We offer a refund on any unworn, undamaged item within 14 days of the receipt of the goods. We reserve the right not to refund goods if the attached swing tags have been removed. If the goods are being returned because they are unsuitable, the cost of postage when returning the goods is to be paid by you. If the goods are being returned because they are faulty, the cost of returning the item will be paid by Pellicano Menswear Limited. If you wish to return or exchange any item, please contact us via Email to tomaaso@pellicanomenswear.com with the details. We recommend using a Royal Mail Recorded or Special Delivery service as we will not be able to refund any items lost in the post. Please retain your proof of postage as this lists your Track & Trace number. We reserve the right to send goods back to you if they have been worn or soiled in any way or packaging swing tags have been removed. We also reserve the right to make a charge of £10 per item to cover the extra handling and postage costs we incur. Claims in relation to items charged but not received should be made within 90 days of the statement charge. Under the UK Distance Selling Regulations, you have 14 working days from the day after you receive your goods to cancel the contract for your order with Pellicano Menswear Limited contacting us via Email: tomasso@pellicanomenswear.com. In this case we will issue you with a full refund including any postage charges paid at time of order however you will need to return the entire order at your cost if you have already received it. In all cases, the goods must be in their original condition and unworn. Your refund will usually be processed within 14 days upon receipt but please allow up to 30 days during busy periods. All cancellations must be returned to Pellicano in 21 days. Like most Web sites, Pellicanomenswear.com also collects information automatically and through the use of electronic tools that may be transparent to our visitors. For example, we may log the name of your Internet Service Provider or use cookie technology to recognize you and hold information from your visit. Among other things, the cookie may store your user name and password, sparing you from having to re-enter that information each time you visit, or may control the number of times you encounter a particular advertisement while visiting our site. As we adopt additional technology, we may also gather information through other means. In certain cases, you can choose not to provide us with information, for example by setting your browser to refuse to accept cookies, but if you do you may be unable to access certain portions of the site or may be asked to re-enter your user name and password, and we may not be able to customise the site’s features according to your preferences. Personally Identifiable Information collected by Pellicano Menswear Ltd may also be used for other purposes, including but not limited to site administration, troubleshooting, processing of e-commerce transactions and administration. Pellicano Menswear Ltd reserves the right to change this policy at any time. Please check this page periodically for changes. Your continued use of our site following the posting of changes to these terms will mean you accept those changes. Information collected prior to the time any change is posted will be used according to the rules and laws that applied at the time the information was collected. This policy and the use of this Site are governed by UK law. If a dispute arises under this Policy we agree to first try to resolve it with the help of a mutually agreed-upon mediator in the UK. Pellicano Menswear Ltd is controlled, operated and administered entirely within the UK. This statement and the policies outlined herein are not intended to and do not create any contractual or other legal rights in or on behalf of any party.